And Now….The winner of my One Year Of Blogging Anniversary Give-away is……………Miss Stacey from The Blessed Nest! Congratulations Stacey! My goodness gracious there were a lot of entries! Over 430! Thanks to all of you for entering this give-away, and for sharing your favorite Holiday Traditions! What a treat to read them all! Truly, I was absolutely blessed and overwhelmed by all of your creative and encouraging comments! 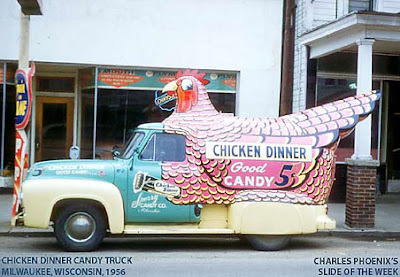 I can’t believe that Turkey Time is just around the corner! My family and I will be flying back to California to spend this bountiful Holiday with my parents, siblings, and my extended Big Fat Italian family! So, I have already started decorating for Christmas! That way, when I get back I will have the whole month of December to enjoy all that glitters and sparkles! I will be sure to share my “Christmas Home” with you soon! But for now….make yourself something yummy to drink, put your slippers on, relax and enjoy the beauty of Autumn in the Ozark Mountains………. The country road I take almost everyday into town. It just makes my heart sing when I experience the quaintness of small town life here in southern Missouri. I love the homey-ness of it all…..it’s so Mayberry! This is where I went to vote last Tuesday. How adorable is this little, cute-as-a-button, community center …established in 1906! Oh Honey! And would you look at this sign out front…..how stinkin’ cute is that?! A Turkey, Ham ‘n’ Dressing Potluck supper….can’t you just imagine Aunt Bee, Clara and a few other apron-ed gals bustling about in the kitchen, serving up a nourishing, home-cooked meat’n’potatoes meal to the towns-folk, sharing recipes and the latest town news! Well, lookie here…. indeed, Aunt Bee and the gals were busy last Tuesday mornin’…dear hubby and I walked from the brisk fall air and into the gathering hall to vote and were welcomed by the warm aroma of hot, out-of-the-oven blueberry muffins. Sturdy jars of blushing-pink canned Rhubarb gathered in neat little rows nearby. Sure enough, there were three rosey-cheeked, white-haired grandmas sitting behind a long table, collecting I D’s, checking names off the list and passing out ballots. Where else, but small town America, could you cast your vote for President of the United States just a few feet from this homespun, slice-of-life scene? Ya gotta love it! My daughter Ashley and her husband Glen, came home for a few days, we lit the first fire of the season…roasted marshmallows, made s’mores, sipped hot chocolate and warmed our hearts as we watched home movies…. There’s a horse stable just a few miles from our home so we decided to hit the trials… You can take the girl out of the Old West, but you can’t take the Old West out of the girl! Me and my love for cowboy boots go way back! Rootin’ Tootin’ Ruthie! It was the most breathtaking fall day…the air was crisp and sweet…the sun was glowing gold, and the cozy scent of wood-smoke put everyone in a glorious mood. Ashley and Glen down by Bear Creek. They were celebrating three years of wedded bliss. Ummm…can I have some grand-babies now please? My two red-heads with “cinnamon sprinkles” on their noses! This is the guy that makes me laugh everyday. I want to thank my sweet blog-friend Vee from A Haven for Vee for this very special award. Kari and Kijsa are two amazingly creative sisters, who designed this award. This is how the sisters describe it…. 2. My fabulous, adorable, outrageously fun, next-door neighbor from back in the day….Catiena from The Vintage Housewife. She really is as delightful and sassy and vintage as she seems…she is the real deal. Always encouraging! She has a zest for life because she loves the Lord! Both of theses gals are an inspiration in my life! Thanks for stopping by for some “Autumn in the Ozarks” pie! Congrats to Stacey on winning your giveaway! I always enjoy reading your sweet blog and looking at your wonderful pictures! Congrats on your award, too. You certainly deserve it. You really spread so much joy through your blog. I’m always so excited when I see you’ve posted something new. God bless and have a wonderful day in the Lord, Ruthann. Can’t believe I’m #2 to post a comment. Congratulations to Stacey for winning the fabulous giveaway! LOVE your pictures from Branson. Autumn is so beautiful in the Ozarks. I’m already looking forward to your next post, hope it’s SOON! What a treat to see a post first thing this beautiful fall morning. I woke up to our first snowfall that happened over night, and had the treat of introducing our new puppy to his first snow. This post was just the “topper” for an already beautiful morning. Ruthanne, I wonder if you could tell us in a blog entry the order in which you do your blog entries. I did my first longer entry with lots of pictures yesterday and I nearly lost my mind with all the spaces that kept coming in whenever I put new pictures in. What order do you do things? Pictures first? Text first I’d love to know any tips you have. You deserve that design award. I know we don’t know each other, but God has used your blog in my life at a crucial time when I am endeavoring to be a better wife and homemaker, and am starting from “scratch” in a lot of ways. Your blog goes a long way in inspiring me to keep trying, and gives me lot of great ideas! God bless! Thank you so much for posting the pictures of the country road and especially the little community center. I miss those! I am so homesick that I can just taste it! By the way,I read the article about your house in 417 magazine, from a few years ago. Mama always gives me the back issues. If I can make it back for a visit after the first of the year, how would you like to get together? We can meet in Springfield or Ozark – do you like Lambert’s? We could have lunch! P.S. Love the way you wear full makeup when you ride the horse – I do the same thing! What a great time you must have had on the horse riding. I love horses and the cowgirl thing too. I am so thankful that you are so sweet to share with us all the wonderful things on your blog. You are truly inspiring to me and I am sure to others. Looking forward to seeing your pretty Christmas House. Oh happy day! Such a gift to find a new post this morning…thank you! Congrats Ruthann on your award! You truly deserve it! You inspire me sooo much! And Way To Go Stacy! Enjoy your gifts! Love the horse riding pics and well as the Ozark pictures. I was born in St Louis..but haven’t been there but acouple times in my life, so I love to see the pictures! My granddaddy lives in the Ozarks, 96 yrs young! Have a wonderful Thanksgiving with your loved ones! Congrats to Stacey…I have got to go check out the winners of the Designing for Life award as well. If you selected them, they’ve got to be the place to be this morning. And I just loved seeing all your photos…wonderful quote of the day along the trail…”Stay on the Horse.” That could work on so many levels. LOL! Thanks for another fun post…looking forward to your Christmas home, too. first let me say congrats to stacey from the blessed nest…yahoo the winner! next miss ruthann i do declare your such a rooten’ tooten lil’ lady and girl how cute do you look out in the wild wild west with cowboy bob and your lil’ freckled angels! oooh and thank you, thank you, for the wonderful award…but mostly your warm as pumpkin butter comments…you are such a wonderful uplifting part of my life…thank you dear dear friend! i can’t wait to see you…yippy ruthann’s commin’ to town! put on the dog…we’re gonna have such a farmhouse christmas time…lets see…starbucks…check,…pie check,…prayer…check,…girl talk…check,…christmas music in the car, check…and umm… shoppin’!!!!!! CHECK! Well congratulations to Stacey for winning this fabulous give-away! What a beautiful view you have from your house. God’s spendor all around! I love your blog! The trail ride looks like my cup of tea for sure. When I looked at the picture of the canned items in the kitchen I couldn’t help but think of Aunt Bee’s special “pickles”…LOL. Can you imagine having to eat all of those awful things? I too live in a small town and I love it. Come stop by my blog and say hello! Hey Ruthann, what a joy to get to visit with you Saturday at Leola’s. We had a couple of good laughs. Thanks for stopping by the store, and check out Jan’s blog “Summer Sundays”; we’ll get the photo up soon. If you ever need a shopping buddy, give me a call, I’d love it. Great post with all your wonderful pix of our beautiful Ozarks scenery! Have a great Thanksgiving! I have only recently discovered your blog and am enjoying it so much. Congratulations on winning the award! Ruth Thanks for sharing such wonderful pics I felt like I was right there on a horse with ya. can’t wait to see your home all decorated for Christmas. Surfed into your blog..just wanted to tell you its FANTASTIC! I love your blog, and have followed it for a long time and love your home. I wanted to say thanks for sharing the cute pictures of the canning going on at your polling place! What amazes me more is that you had a camera to capture it! I need to carry my camera more often but it’s so big I cannot be subtle about it. I just love your blog! Wishing you a wonderful week! Wow, what a post. Such great pictures of you and your family having fun. The scenery is beautiful. Thank you for sharing. Congrats to Stacey! And congrats to you on the award! Great pictures and thoughts, as always, Ruthann! And your children are so beautiful…I love the pic of y’all on the hearth with the pumpkins! And, oooh, won’t your daughter and her husband have gorgeous kids! Mercy! ;o) Hopefully, they will have “cinnamon sprinkles,” too! haha! Holy Crow I love your blog!!! A big xoxo to Stacey for winning!!! That just had to put the sunshine into her day! Congrats to you too Ruthann~you definitely deserve it!! I believe that I have been on your site for a full day going through back posts…such an inspiration! That cute couple would make one adorable little grandbaby. I’m just sayin!!! I can’t wait to move back to Missouri. Your photos make me homesick. The fireplace photo of the three of you is wonderful!! Love it!!! Beautiful pictures and I am totally a small town gal as well! And I absolutely LOVE it! Your posts are always so fun! I love them! YAY! Congrats to Stacey! Lucky gal! I have never boon to your site before, but it was so fun! I was looking for where i could turn off the music when suddenly I realized i loved it! It put such a smile on my face and in my heart!! You have a safe and wonderful trip! It looks soo glorious in your neighborhood… And a beautiful family.. Thanks for some ‘Autumn Pie’ inspiration…I gotta scoot to work.. Yay!!!! :) I can’t believe I won! What a sweet blessing!!! I’ve just e-mailed you my address. Thanks so much for this–it’s so generous of you! I’ll feel like the Queen Bee with my new apron and pearls, and my family will enjoy the books and ideas in them :). I grew up in Indiana, and that candle sounds divine! THANK YOU VERY MUCH!!! I just love your blog! I am new to the blogging world and just started mine last week! I grew up in the south and lived in the Ozarks…it is amazing there. I now live up north where it is cold and pray that God wants me to once more live in Mayberry. I also love my cowboy boots and riding. It looks like y’all had a nice ride and all were able to stay on top of the horse, as the sign stated. What a fabulous post…and such great photographs. With our life-long base here in the SC lowcountry, I’ve never spent any time in your neck of the woods. Looks like we should plan a road trip…the scenery looks gorgeous. I stumbled across your blog and just want you to know, I love it! Officially addicted. Your town seems lovely, like off a postcard. Your blog makes my heart sing and helps me to believe that there is hope in spite of tough times…. Ruthann-I’ve been viewing your blog almost from it’s beginning. I share it with all my friends. You feel like a dear friend too as we share sooo many interests and loves. You are obviously a romantic at heart too. I always wanted to live on Main Street USA and wondered why my friends were not as enamored by the buildings (inside and out) as I was! At 46 I still love it!! I couldn’t agree more with all these posts…you are a breath of fresh air…a gift from God to all of us mom’s in cyberspace…your home is beautiful, warm and charming just like you. When I’m feeling sad, tired or uninspired, I simply view your site and suddenly your warm hugs and loving words or stories or phrases just radiate warmth and I can’t help but smile each time! I really want to start a blog too but am so busy viewing sites I don’t have time to write my own. Soon though, maybe in 2009 (of course I said that for 2008 too). Bless you for blessing me and so many other women. Keep those pictures and blogs coming! We need more people like you in this world! God Bless you and your family and congratulations on your award. Thank you so much for allowing me to use your art for our "Praise & Pie" event. My Husband and are precious ones are thinking of movn up your way ..Ozarks that is . We are sick of the CA livn and belive God is calling us to "Mayberry". Can you give me some insight into your livn up there in those mountains. There is always so much joy when I come to read your blog. The photes are always amazing!! Just makes me want to pick up my family and move on to the Ozarks! Of course, the Lord has us here in Phoenix so we will stay put. I can’t wait to see your house all dolled up for Christmas. Hello RuthAnn, love all the photos, but esp. the ones of the canned rubarb! YUMMY! I love, love, love your blog. I’m always eager to experience all you have to share with us. In an earlier post in July you mentioned starting a new website to go along with your wonderful blog. Can we still expect this to happen? Can’t wait to see your Christmas house..
Goodness… sake! I absolutely love your blog. You are truly blessed in so many ways. I will be adding you to my friends & family list. Congrats to the winner! Love your fall pics, especially the one with you and your girls. What nice photographs! Congratulations to Stacey for winning the giveaway. mmm….blueberry muffins…warm from the oven…the mouth waters at the thought. I am a total blurker on your blog… I am addicted! I got here from Sherry’s , Creations from the heart. You really inspire me. You have helped me shape my holiday attitude for this year… all done by December 1st so I can enjoy every minute of it. Thanks for being so generous with your creativity. Loved your pictures from the Ozarks. It’s my favorite place to visit and we weren’t able to go this year. Thanks for sharing your “slice of life”. OH MY GOODNESS..I think you are my long lost twin!!!! We are SO much alike…I can’t even believe it! So happy to have found your blog. You have a beautiful family and that fireplace…..Beautiful! I’m going to add you to my blog I follow if you don’t mind. I’ll be back soon for a longer visit. When are you posting your Christmas decorations?? Can’t wait to see!!!! I so enjoyed going down the journey of your little town and horse trail and visiting your blog today! I just found your blog and I LOVE it! Just last week my Aunt from the Ozarks of Missouri came to visit me. Small world! She lives in Camdenton, MO. in a cabin right on the lake. I will be back to visit. Your blog is cozy and lovely. I don’t think I have ever left you a comment before but felt the need to today. Your blog is so uplifting and so inspiring, it radiates joy. Your home is beautiful, your family is beautiful and your surroundings are beautiful. Your love of Jesus truly shines through. When I grow up I want to have a blog as great as yours…..LOL! Great pictures! I especially like the one of you and the girls by the fireplace. Your blog is such a treat! Thank you for sharing your sweet fall days with us. Happy Thanksgiving! May the Lord Bless you all! How fun! I came over from Stacey’s blog!! What great stuff she won!! I Love all your pictures..we go to Mt. 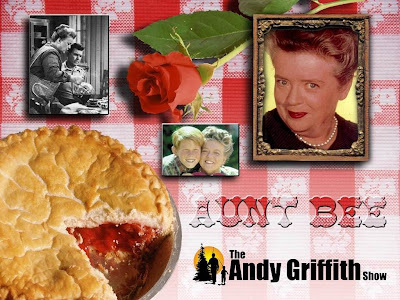 Airy in NC known as the real Mayberry with Aunt Bea’s and the childhood home of Andy! I have never commented on a blog before but I had to tell you how much I love yours. I saw where you said you co-wrote “Dusty’s Beary Tales” and I couldn’t believe it. I bought that book for my daughters years ago (and of course still have it). I guess I have always loved your style! Your family seems so special. I LOVE your daughter’s yellow apron! Where did you get it? Please keep showing us your gorgeous house and never stop talking about our wonderful Lord and Saviour. I simply want to tell you that I am just newbie to weblog and seriously loved your web-site. Likely I’m likely to bookmark your blog post . You really come with great well written articles. Cheers for sharing with us your web page. I have read some just right stuff here. Certainly price bookmarking for revisiting. I surprise how much attempt you place to make this sort of excellent informative web site. I would like to express appreciation to this writer just for bailing me out of this type of situation. Because of researching throughout the internet and getting notions which are not productive, I figured my life was over. Being alive devoid of the solutions to the problems you have sorted out as a result of your entire site is a crucial case, as well as those that would have negatively damaged my career if I hadn’t come across the website. That training and kindness in controlling the whole thing was helpful. I am not sure what I would’ve done if I hadn’t come upon such a thing like this. It’s possible to at this point look forward to my future. Thanks very much for this specialized and amazing guide. I will not be reluctant to suggest the sites to any person who would like guide on this subject.